Illuminating your home with all available light, patio doors will make your home appear bigger and brighter – creating an illusion of greater space. Their floor to ceiling glass panes will provide with a crystal clear view, allowing you to experience the outdoors from the comfort of your home. Many homeowners install these doors as an entrance to their garden, but if you happen to have a dark room within your property, these doors can help brighten the space by giving it a lighter atmosphere. Not exclusive to the communal area, patio doors can be installed in other areas of your home such as your bedroom. Many install them as a quick and efficient means of entering their garden through their bedroom. Want stylish access to your balcony? Patio doors can also be installed on the second story of your property, providing you with a charming alternative entrance. Available in 2, 3 and 4 leaf options, our slim in-line patio doors are designed with your homes safety and security in mind. All our doors feature a 6 point locking system as standard and are internally glazed for added security. Providing ease of access, our patio doors even come with stainless steel tandem rollers which allow the doors to operate smoothly. Why Choose Our Patio Doors? Secure Style offer a free online quotefor our complete range of patio doors. Our online quote engine is extremely fast and easy to use. 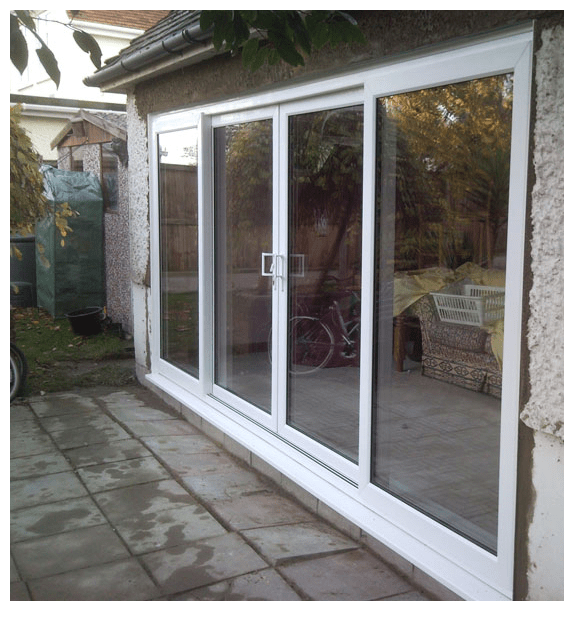 Visit the quote section of our website, fill in the details of your patio door and click go. You’ll receive your free patio door quote in seconds.